List of senators elected in the 2016 Philippine National Election - Balita Boss! 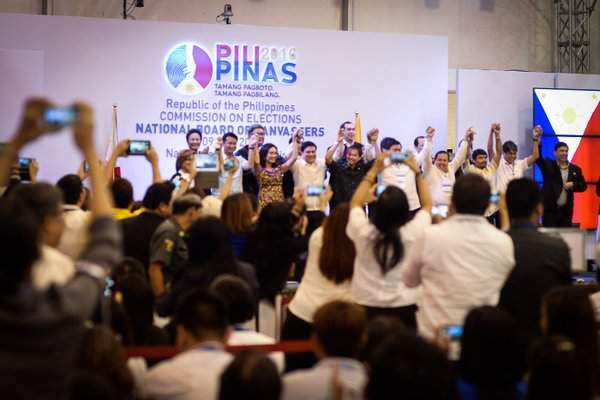 The Commission on Elections (COMELEC) has formally proclaimed the 12 new senators, who got the highest number of votes last May 9, 2016 national elections. COMELEC, led by Chairman Andres Bautista, held the proclamation after 10 days of canvassing at the Philippine International Convention Center (PICC) in Pasay City. The 12 new senators – composed of 5 neophyte, 4 returning senators, and 3 incumbents – will serve in government for the next 6 years alongside President-elect Rodrigo Duterte.